Hello, I’m interested in 13120 Del Monte Drive Unit 47C M and would like to take a look around. 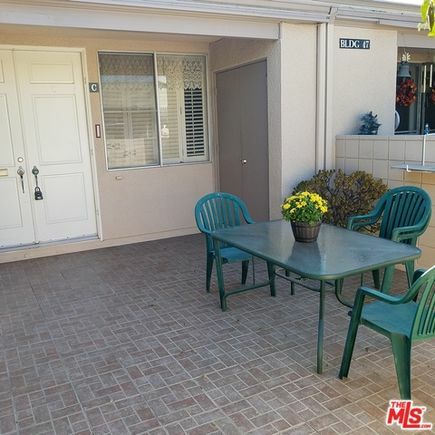 The details on 13120 Del Monte Drive Unit 47C M: This house located in Leisure World, Seal Beach, CA 90740 is currently for sale for $324,000. 13120 Del Monte Drive Unit 47C M is a 1,200 square foot house with 2 beds and 1 bath. 13120 Del Monte Drive Unit 47C M is in the Leisure World neighborhood of Seal Beach and has a WalkScore® of 15, making it car-dependent. This house is in the attendance area of Jack L. Weaver Elementary School, J. H. Mcgaugh Elementary School, Los Alamitos High School, and Sharon Christa Mcauliffe Middle School. Listing Courtesy of: DAMLS and California Elite Real Estate Professiona. The information being provided by DAMLS is for the visitor's personal, non-commercial use and may not be used for any purpose other than to identify prospective properties visitor may be interested in purchasing. Any information relating to a property referenced on this web site comes from the Internet Data Exchange (IDX) program of DAMLS. This web site may reference real estate listing(s) held by a brokerage firm other than the broker and/or agent who owns this web site.